D3 CSP Stakeholder Input | Kittelson & Associates, Inc. Welcome! 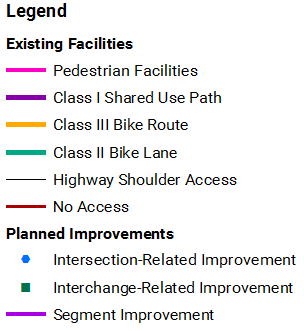 We want your help in creating a definitive inventory of bicycle and pedestrian facilities on state highways in District 3. We would also like to hear your ideas about how to better implement Complete Streets in the District. Having trouble viewing or using the map? Please contact Florigna Feliciano at florigna.feliciano@dot.ca.gov with your comments.